Why High-End Scopes Cost That Much? If you’ve spent any time shopping for scopes you’ve probably been surprised at how much the price scale varies. Even a cursory glance at a big retail site like Amazon shows me scopes ranging from 25 dollars to well over 2,000 dollars. Many people wonder why they should spend nearly as much or even more on a scope than they did on a rifle. Even a basic Aimpoint, a simple red dot scope, can cost as much as an AR 15. In fact the general rule of thumb used to be that glass should cost more than the rifle, or at least as much. Reason being, a rifle is only as good as the sights on it. Let’s explore why these scopes cost so much though, and give you a good idea of what you’re paying for. You know what kills crappy scopes faster than anything? Recoil. This is due to shoddy construction techniques and even more shoddier materials. If you’ve ever seen your reticle tilt or collapse you know what I’m talking about. A good scope will be made from a single piece of high quality aluminum, the aluminum ratings are usually 6061 T-6 for scopes. One of the reasons scopes cost so much is that good aluminum isn’t cheap. 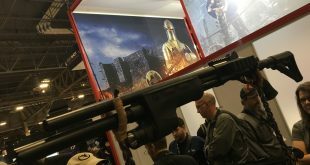 The second reason is that single piece construction makes scopes more precise and more durable, but it also wastes a ton of aluminum to construct a single piece scope in first place. Glass is a very important feature, probably the most important feature by far. 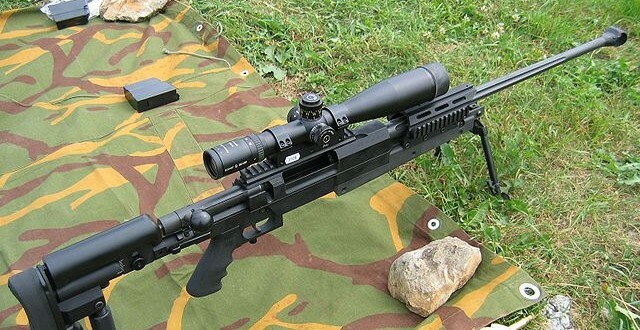 The reason being is that if you can’t see through your scope it’s worthless, regardless of all other construction features. Glass is made from sand, and sand ranges in purity. The best sand comes from Vietnam apparently. The Vietnamese have taken advantage of this and have made their dirt some of the more expensive dirt on the market. High quality glass is derived from pure sand, and at the end of the day we all pay to play. This is why it’s not always a bad thing to see Made in Japan on your scope, or something like, lenses made in Japan. Many Asian optics are very well made. If you have good glass, you’ll still need a good lens coating. Lens coating is what allows you to take maximum advantage of quality glass. Lens coatings vary by a number of different degrees, but on a high quality, expensive scope, you want to look for the magic words, “fully multi coated.” This means all the lenses that touch air are coated. This coating is designed to reduce glare, and increase light transmission. When combined with good glass, looking through these scopes is like switching from 480P to 4k for the first time. Many high end companies has some form of proprietary coating as well, like Leupold’s Diamond coat, which also protects the lens from abrasions and acts like an armor coating. It’s easy and cheap to produce a scope with a massive amount of magnification. If 3 to 9 power is our standard, or average, then we can call 12 and up high power. Even reaching levels of 24 and staying cheap is possible. The problem is at these magnifications the picture can become distorted and clarity quickly falls. A high quality scope provides clear and consistent clarity throughout its range of magnification. If I was going to be spending money on a top shelf optic I would require a good set of target or tactical turrets. These turrets need to be able to be reset to zero after I zero the optic itself to my rifle, and should be fingertip adjustable. Quality turrets should give the user instant feedback, both audible and tactile. The turrets should be tight, and easy to use with sweaty hands, or while wearing gloves. Right now what’s all the rage in scopes is the first focal plane. This is in reference to the position the reticle sits inside the scope. For long distance and tactical shooting a FFP, aka first focal plane, is crucial. A FFP reticle grows and shrinks with the magnification. This means the mil dots, or bullet drop compensator a scope may have is accurate at every magnification. In a second focal plane scope the reticle doesn’t grow and shrink as the magnification is changed , meaning the mil dots or BDC is only accurate at one specific magnification setting. Some scopes have some novel features that aren’t that necessary, but are handy. Trijicon’s battery illuminated reticle comes to mind. 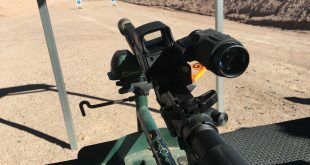 Other features could include built in rangefinders, night vision capability, and even small red dot sights built into the optics like the Leupold Hammer, or Trijicon Acog. These features are nice, not necessary for a quality scope, but they do add a lot of cost to the optic, and can be something to keep in mind. Like with most things gun related you get what you pay for, and with optics this is especially true. Some people may never need anything beyond a 200 dollar scope, and that’s fine, but others may have a desire for something a little better. Others may have an actual need for something more adept. A high quality, and expensive scope can do a lot for a shooter, but it can never make up for basic shooting skills. A high quality optic is an investment, and it pays off in the end. Almo Gregor is a firearm enthusiast and avid hunter. Also a strong lifelong 2nd amendment supporter. Outdoors, hunting and shooting were big part of his childhood and he continues with these traditions in his personal and professional life, passing the knowledge to others . He is especially experienced in the field of rifle optics. Next Hey, I just bought an AR15. What should I add next?